its more flamboyant neighboring capitals, the ancient streets, outdoor cafes and Grand Place square, with its statuesque buildings best seen illuminated at night, woo visitors who like a quieter pace. Art lovers would enjoy the Musées Royaux des Beaux Arts de Belgique, which houses masterpieces from Pieter Bruegel, van Dyck and Rubens; Autoworld, with vehicles dating to the dawn of the combustion age; and the Musical Instruments Museum, with its 1500 international and historical pieces. A fantastic landmark to see and eat dinner on is the Atomium, a massive structure made of huge spheres and connecting rods. Over a dozen city center hotels means you're never too far from the action. cultural calendars and the crowds that come with them. If you try to catch the nicer days toward the beginning (April/May) and end (September/October) you may be able to avoid the worst of the peak. For those looking to “appreciate” the famed Belgian beer culture, it’s best to plan your visit around the first weekend in September when 48 breweries set up shop in the center of the city to offer taste tests to brew enthusiasts. I can’t recommend Brussels enough! It is a foodie paradise! So many yummy things to try like the waffles, frites and assorted beers! Definitely recommend! I like this city. I went there for a weekend trip and wished that I could stay longer. There were so many things to see and do. The food was great, the people were friendly, and the nightlife was fun. I tried out some of their beers, waffles and obviously the chocolates. If I’m near Belgium, I might swing by again for another visit. I liked Brussels for many reasons. It is a vital city and not a museum piece, which is always a major plus in my opinion. The people are stylish, polite and unpretentious. While they don't seem friendly at first, they aren't surly either and open up quickly. 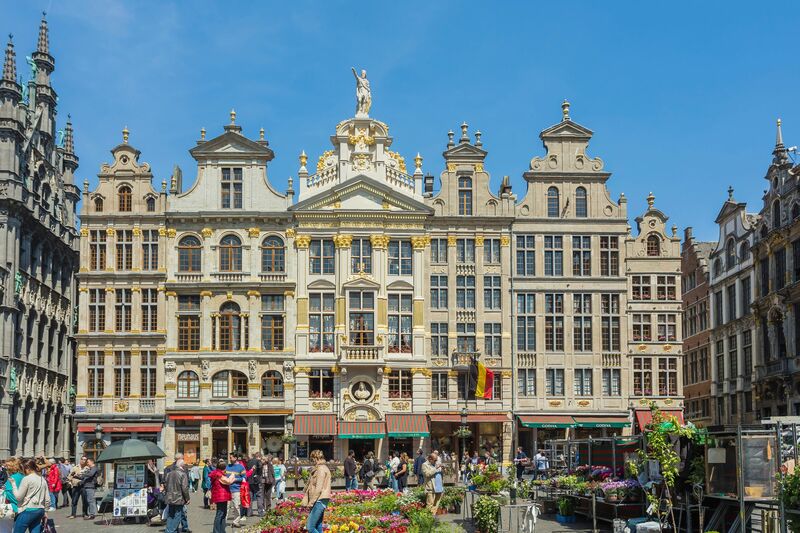 As many guidebooks describe it, Brussels is a mishmash of medieval and modern with a handsome square in the form of the Grand Place contrasting the modern EU Capital district. The beer and chocolate live up to their billing and the local cuisine is both varied and hearty. I would definitely visit again. Friendly, cosmopolitan city with fantastic cuisine and bars. City has a great atmosphere, day and night. An absolutely amazing city full of personality and history! I was pleasantly surprised by how much there is to see and do in Brussels and in Belgium in general. A must see place! When you think about European foodie destinations, Brussels is not what usually pops up on most people's minds. However, I can firmly say there are few places where I've eaten so well as in this city. The waffles (go for the ones with icing sugar on, those are the real Belgian waffles), the beer, the fries (THE FRIES! ), the mussels, the chocolate... I can go on, honestly. Brussels constantly feels like a tale of two cities. You have the beautiful historical centre (with the Grand Place as its heart), but just walk 10 minutes and you'll run into corporate Brussels, with modern glass buildings. It's a blend a bit harsh, but representative of a dual city with two languages. You will find beautiful art nouveau buildings by Horta (don't miss his house museum), but also of the comicbook murals all over town. When you understand this constant duality, Brussels really gets under your skin. Brussels is the capital of Europe, the famous and popular spots are 1958 World Expo site with the Atomium. Also walking tour to the beautiful Grand Square to see the local here - "Mannekin Pis". Belgium Tapestries, laces and chocolate is very famous too. Brussels is an underrated city with great food. Mussels, French fries, chocolate, and beer are hidden in little nooks around the city. You may arrive on business, but plan to spend a few extra days exploring. While some bigger European cities have fallen victim of the boom and bust of the global crash Brussels has stability, cheap property prices and a rich cultural scene. This coupled with being perhaps the best-connected city in Europe, by train, means that attitudes to the city are changing and the city itself is fast becoming a bubble of creativity that prides itself on being up and coming.